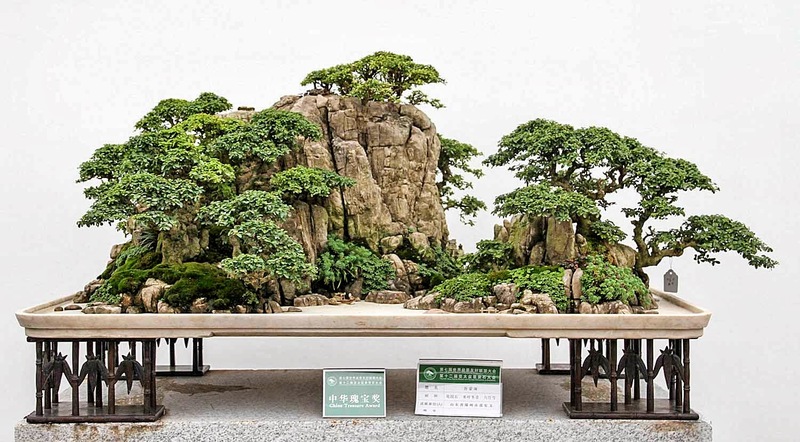 This image of a penjing at the present WBFF convention in China impressed me deeply. Look at the first image and see a great landscape. How about having this as bonsai? Impossible? Look at the second one. This could be the future of bonsai when the Chinese will be getting serious.